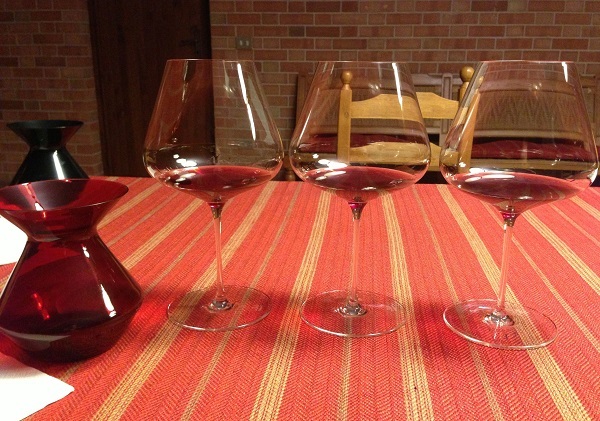 The 2010 vintage in Barolo is shaping up to be a modern-day classic. The cool growing season produced transparent, vibrant Barolos that pulsate with tension, crystalline purity and site-specific nuance. The 2010 Barolos have all of the attributes of a cool, late-ripening vintage; expressive aromatics, chiseled fruit, plenty of site-specificity and the potential to develop beautifully for years and decades in bottle. At the same time, the wines have gorgeous depth and richness, perhaps a result of the high temperatures in July. Next to the 2008s, which were generally brought in later, the 2010s have a bit less aromatic intensity, more tannic clout and greater overall structure. A number of growers mentioned that the berry size was small in 2010, which explains why the wines have the tannic presence they do. As always, there are a handful of underperforming wines, but they are the exception rather than the rule. In general terms, it is clear the Barolos are more successful than the 2010 Barbarescos, pointing out the need once again to consider each of these two areas individually. The 2010 Barolos are also several notches higher in quality and far more exciting than the 2009s. 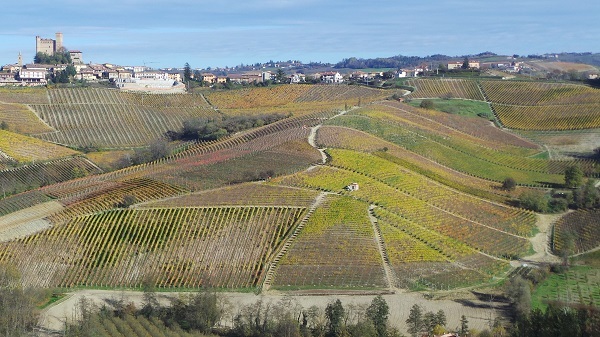 Overall, 2010 can be characterized as a vintage with cooler than normal temperatures and a mid-October harvest for Nebbiolo. Total degree days were lower than both 2009 and 2011. Growers reported fairly normal conditions during fruit set, although for some estates rain in early May delayed flowering. June saw quite a bit of rain, but towards the end of the month, after flowering was completed. July was very dry with daytime temperatures at the high end of normal. Evenings were cool throughout the summer months, creating the diurnal temperature swings that are so favorable for gradual, even ripening. October brought with it high amounts of rain. Well-drained sites handled the rain well, but some vineyards were penalized. In a cool, rainy vintage, proper balance in the vineyards and reasonable crop loads were especially critical. 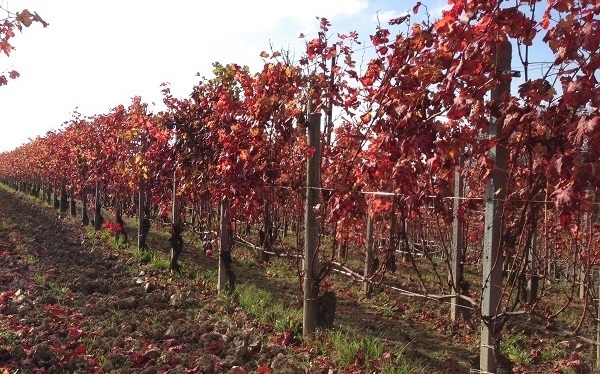 Most estates harvested their Nebbiolos around the middle of October, which today is regarded as a normal time frame. By comparison, both 2008 and 2013 were quite a bit later, while 2007 and 2009 were earlier harvests. Readers who have tasted the 2010s from Tuscany (especially Chianti Classico) and/or the 2010 Red Burgundies will have a very clear idea of the style of the vintage. It is a year that will appeal to classicists, as the wines are translucent and incredibly expressive. Stylistically, the 2010s remind me of the 2004s, but with more mid-palate pliancy and overall depth. Simply put, 2010 is the greatest young Barolo vintage I have tasted in 18 years of visiting the region and a lifetime of buying, cellaring and drinking these wines. A New Paradigm for Barolo? As structured as the 2010s are, these aren’t your father’s (or mother’s) Barolos. In other words, the wines won’t take decades to become approachable. Significant strides in viticulture and winemaking have made today’s young Barolos more approachable than they have ever been. For example, the 2008 Barolos, wines from another cool, late-maturing vintage, are surprisingly open today. Those wines may close down at some point in the future, but the days of needing to cellar Barolos for decades before they drink well is largely a thing of the past. The last vintage I can remember with truly forbidding youthful tannins is 1999. I expect to see considerable interest from the trade in the 2010s. The reasons are obvious. Most importantly, the wines are spectacular. 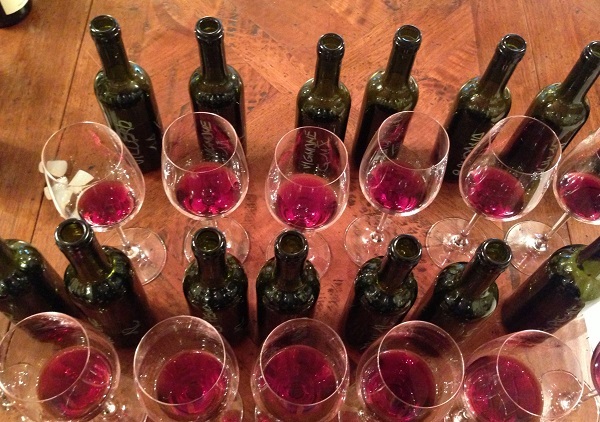 The 2010 Barolos are going to be the most exciting category to sell in 2014, that much seems clear. In Burgundy, yields of -40% to -80% and higher prices than 2011 are going to make the 2012s virtually impossible to find and very expensive. There simply isn’t enough volume of 2012 Burgundy to support the trade. At the same time, consumers will continue to turn to Barolo and Barbaresco as they are priced out of Burgundy. The 2013 vintage in Bordeaux is one of the most difficult in a generation and is unlikely to generate much excitement when the en primeur campaign kicks off this spring. What about 2009 Brunello di Montalcino? The wines I have tasted from cask point to an uneven vintage. The best 2011 Cabernet Sauvignons from Napa Valley are better than expected, but here, too, production is down sharply. I am less versed on the wines of the Rhône Valley or Spain, but I don’t see a lot of excitement out there, with the exception of the usual suspects. As a result of all of these factors, I expect interest in the new Barolo vintage to be much greater than normal. As thrilling as the best Barolos are, I hope readers will also take a look at the best Dolcettos, Barberas and Langhe Nebbiolos. A good general rule of thumb is to focus on the entry-level wines of the best growers, much as one might do with Bourgognes and village-level wines in Burgundy. In particular, today there are more utterly delicious Langhe Nebbiolos than ever before. The market for high-end wine remains competitive, and growers are only bottling their best under their top labels. Consumers can benefit enormously by focusing on top producers to find delicious every-day wines that won’t require a second mortgage. My recent article covers several hundred delicious, entry-level wines, most of which can be had for exceedingly fair prices. While it is human nature to be drawn to the numerical ratings, I urge readers to take the time to read the tasting notes and producer commentaries, both of which will tell you more about a wine than a mere number alone ever can. The 2010 Barolo vintage is special. There are a lot of great wines in this article, and I expect there will be even more once the wines that are still in cask are bottled later this year. Even though it is still early, I find little to get excited about in the 2011 Barolos. The 2011s are rich, voluptuous wines. Although it is tempting to make comparisons with 2007, I find much less aromatic finesse and balance in the 2011s. It is also a highly inconsistent vintage. Results vary highly from cellar to cellar, that much is clear. Right now 2011 looks to be an average vintage of big, ripe, early drinking Barolos. Of course, much can change between now and when the wines are bottled, but at the moment I can’t get terribly excited about 2011. Vintage 2012 is turning into a very pleasant surprise. The wines remind me of the 2005s because of their medium-bodied structures, aromatics and vibrancy, but the 2012s have more richness and depth, something that has always been the Achilles heel of 2005. I am not sure if 2012 is going to develop into a blockbuster vintage, but at the moment the 2012s are crystalline, pure and highly promising. I haven’t tasted any dry 2013s yet, but it is a fascinating vintage. An early attack of peronospora (downy mildew) caught growers off guard. Peronospora is usually not terribly harmful when it happens this early. Growers had a decision; to treat or not. That decision was compounded by wet conditions that made it impossible to get into the vineyards with tractors. Those who chose to spray had to do it the hard way, manually. Those who opted not to treat were crushed by what turned out to be a devastating onset of peronospora. In the worst places, production was down as much as 70%, and a handful of vineyards weren’t even picked at all. By modern day standards, 2013 was a very long growing season with conditions in which Nebbiolo thrives. On paper, 2013 looks like an above average vintage at the very least. I can’t wait to taste the wines. 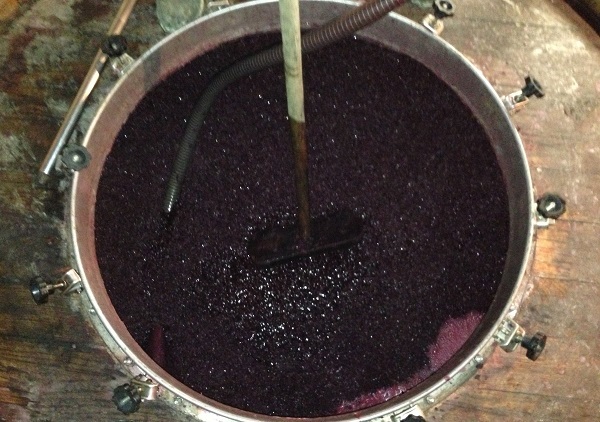 Punching down the cap and pumping over at Giuseppe Rinaldi, November 2013. This juice will become Barolo Brunate. Within the next few weeks we will be releasing the Beta version of our new interactive Barolo map. I start by breaking down the Barolo vineyard designations ‘menzioni geografiche’ into Grandi Cru del Barolo, Primi Cru del Barolo and Menzioni del Barolo, an equivalent to Burgundy’s Grand Crus, Premier Crus and villages vineyards. From there, readers will be able to learn the basics about each of the sites; including surface area and altitude, and for sites that produce single-vineyard Barolos, the attributes of the wines along with reference-point bottlings. Lastly, readers will be able to explore the wines from each vineyard by linking into the Vinous database, which includes reviews of more than 3,000 Barolos, including virtually all of the widely accepted benchmarks. We will then create a similar map for Barbaresco before turning our attention to California. But a few producers objected because they had always just used the designation ‘Cannubi’ for their Barolos and they feared creating confusion in the market with what would look like new wine names, so they appealed the decision. This faction was led by Marchesi di Barolo, one of the most storied wineries in Barolo, and its owners, the Abbona family, who argued that historically they had always used the Cannubi designation for their wines and therefore they should be able to continue to do so. Their position was that it should be the choice of the producer to use the broader Cannubi name or one of the more specific vineyard designations. Marchesi’s recent appeal was upheld and the original ruling was overturned in Marchesi’s favor. Although the dispute over Cannubi has recently gotten considerable press, conflicts between these two factions have existed over this issue for twenty years or so. I spent many hours reviewing the extensive material collected by Marchesi di Barolo to support their case. The Cannubi designation appears on Abbona labels going back to 1904. There is no question Marchesi di Barolo have labeled their Barolo ‘Cannubi’ for several generations. At the same time, though, it is important to note that 100 years ago, Piedmont was the Wild West when it came to naming conventions. For example, I have seen bottles of ‘Barbaresco Cannubi’ from the 1950s! It was not until the 1980s that the first serious efforts were made to ensure wines were labeled accurately. As far as I have been able to ascertain, Marchesi’s present-day Cannubi holdings are centered in Muscatel, while a second parcel lies in the central part of the hill. However, Marchesi recently lost access to a third parcel owned by Pietro Scarzello, Ernesto Abbona’s cousin, that is now being leased to Damilano and that informed the Marchesi Cannubi Barolos for years. Naturally, it is hard, if not impossible, to know with certainty which fruit was going into which wines and when. Lost in this war – and it is a war – between producers is the rights of the most important person in this whole saga. Those of the consumer who support Barolo and its wineries, and without whom there would be no wine industry at all. Laws and regulations should exist to protect the rights of the consumer, not a winemaker or a group of winemakers. In my opinion, the question is not what was done in the past, but what should be done in the future. And in this context there is no question that more information and clarity is preferable to less. It is impossible for an outsider – or maybe anyone – to know who is right and who is wrong. What is clear is that everyone is a loser. Consumers are hurt because of a lack of transparency in labeling. This is by far the most egregious of all the results of this situation. The commercial interests of essentially one winery have prevailed over the interests of the very people who buy the wines of Barolo, who support the local economy, and who make it possible for people to have jobs. If you think I am exaggerating, consider that the traceability of food products is far greater than what exists for wine. Over the last few years, there has been a rise of new regulations and enforcement of those laws that have resulted in a degree of bureaucracy and record keeping that is astonishing, especially within the context of what has been the norm in Italy. In my view, regulations should exist to protect the interests of the consumer. Here, though, the opposite seems to be taking place. And what about Marchesi di Barolo? Over time they risk being big losers too. 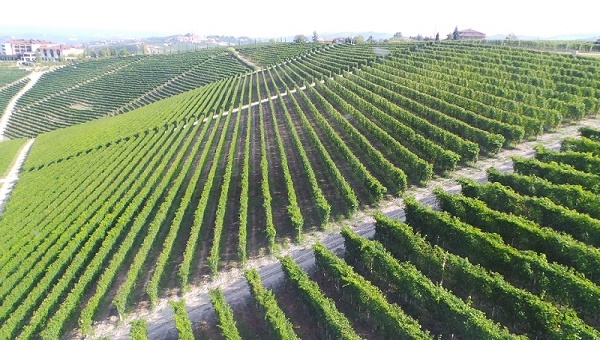 Traditionally Cannubi-Muscatel has not been among the most highly regarded zones for growing Barolo grapes within Cannubi. 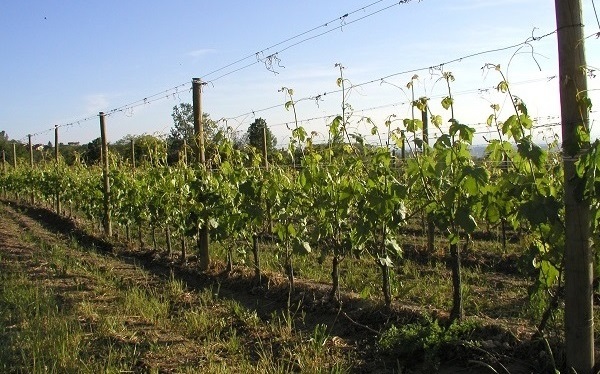 Although no one knows for sure, the vineyard’s name appears to originate from the planting of Moscato – either partly, or wholly – on this site. A hundred years ago, it was common for growers to interplant a few rows of Moscato in their red variety vineyards. Sure, Marchesi di Barolo’s right to call their Barolo ‘Cannubi’ instead of ‘Cannubi-Muscatel’ today might result in greater commercial success. 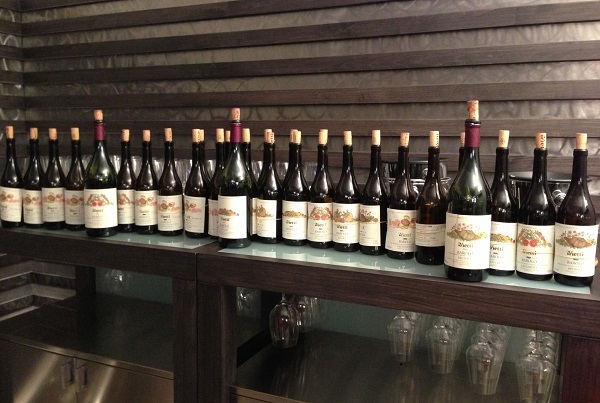 But what will happen when broad Cannubi tastings are organized 5, 10, 20 years from now? The Marchesi’s Barolos are going to be disadvantaged because they will be compared to wines made from the heart of the Cannubi hillside. It would seem to me a better approach might be to explore the true characteristics of Cannubi-Muscatel and see what kind of wine that site is capable of producing. It’s time. I have been buying and drinking Piedmont wines for as long as I can remember. My father introduced me to Barolo when I was 9 or 10. I tasted my first 1982s with him. Later, when I was on my own, Barolo was well beyond my means, but I drank plenty of Dolcetto and Barbera. One of my early inspirations was Burton Anderson’s Wine Atlas of Italy, which I read cover to cover many times. I first visited Piedmont nearly twenty years ago and became even more fascinated with the region. In 2000 I moved to Italy and spent pretty much every minute of free time in the Langhe. I had a dream of writing a book about Piedmont, as I felt Italian wines weren’t being covered as thoroughly as they deserved to be. That book morphed into Piedmont Report. Now, a decade later, I am going to go back to my original vision, which is to write a comprehensive book on the great wines of Barolo and Barbaresco. If all goes well, we intend to publish in 2015. It would be a massive understatement to say I am super-excited about this project. Readers can look forward to several additional articles over the next few months. Piedmont coverage continues with a major retrospective of the 1999 vintage in both Barolo and Barbaresco. I then turn my attention to the 2003 Barolos, wines that have mostly developed far better than anyone could have imagined a decade ago. A vertical of Giacomo Conterno’s Barbera d’Alba Cascina Francia is also on the horizon.